Bed bugs are a flat, oval, rusty color bug that are only found in buildings. 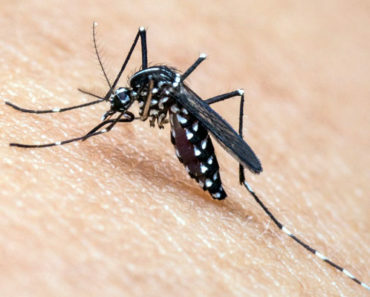 They’re more commonly found in homes, but occasionally can infest a building where there are a lot of people, such as a theatre, nursing home, or a hotel. Bed bugs are considered a parasite as they feed exclusively on blood, much like mosquitoes do. Cimex lectuarius is the common bed bug that feeds on humans. 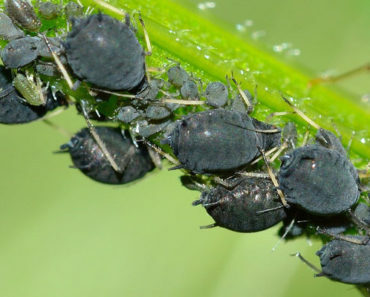 There are also other types of similar bugs that feed on animals. A bed bug infestation is always near humans. They may occasionally feed on dogs or cats, but only if there is no source of human blood. 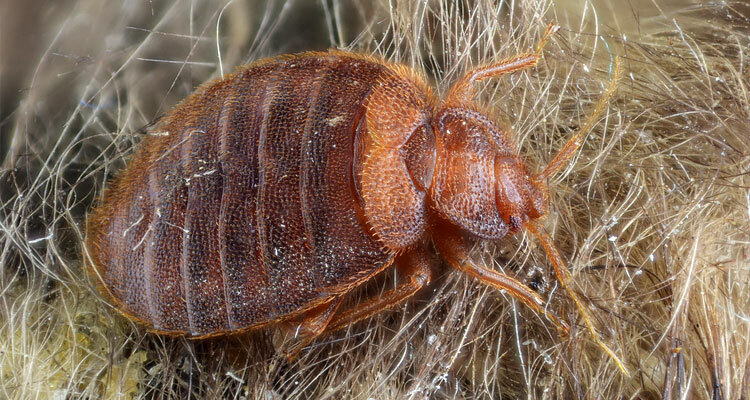 Bed bugs can be found all over the world, but seem to be cyclical. There has been a sudden increase in the bed bug population of North America in the past decade. This may be due to a large increase in population, and many people disregarding basic hygiene in the home. 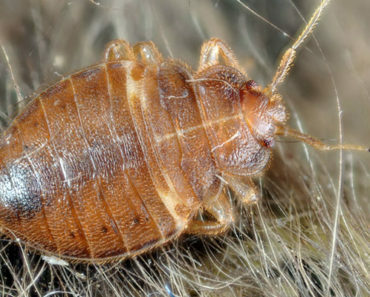 Bed bugs normally feed on humans at nighttime without leaving a noticeable bite. A small percentage of people will experience allergic reactions and have large welts or noticeable bites on their skin that can become itchy. Bed bugs normally live around the warm areas of the home, usually exclusive to the bedroom. They can hide under the frame of the bed or in bedding and pillows. They are often so tiny they can also hide in the cracks of the baseboards. Bed bugs are more of a nuisance, and they look ugly, and rarely do they transmit diseases like mosquitoes can. Bed bugs can be difficult to eradicate in the home, as they’re so small, and they like to hide during the day. In the past, bed bugs were an accepted part of living. Today, they can make people squeamish. Bed bugs love to travel, and will hop into your suitcase or backpack to move into a new location and breed. It doesn’t matter how clean you keep your home, bed bugs will move into any place that has humans. Often bed bugs will quickly infest a home, particularly if people neglect regular cleaning, washing their bedding, or doing a regular inspection for bugs. What Chemicals Kill Bed Bugs? If you start seeing bed bugs around your bedroom, or have red welts on your skin, you could have a bed bug infestation. It’s important to immediately eradicate bed bugs as soon as you see them. A really bad infestation can be highly disruptive to your life, and it may even be recommended that your bed and furniture be destroyed, which can be costly. Fortunately, there are certain chemicals that will destroy bed bugs. There are hundreds of special bed bug sprays, but they will fall into one of seven chemical classes to effectively kill them. You’ll need to purchase professional products to eradicate your bed bug problem. While you can still vacuum and try diatomaceous earth—a dessicant—most people want bed bugs killed on contact. Here are five of the best bed bug sprays on the market today. Provides extended protection even after treatment. Safe, green and non-toxic formula can be used around young children and pets without harm. Earned the “Most Effective Natural Bed Bug Spray” by the Entomological Society of America Journal Publication. Ecoraider spray contains a safe pesticide that smells like cedar. The ingredients are a 96% formulation of glycerol monooleate, silica hydrate, and water. The spray’s micro-scale active ingredients will penetrate the bugs’ exoskeletons and attack their neuron receptors. This one type of receptor that is present in only invertebrates. Once the pesticide reaches these parts, it will cause immediate paralysis and death of the bed bugs. This spray does not cause harm to humans, and you can safely sleep in your bed even after spraying it, unlike other sprays where you must leave your home for 24 hours. It will kill both adult bed bugs and the eggs. The EcoRaider spray will work immediately. It will also have a residual efficacy for up to two weeks after spraying on surfaces. It will kill 97.5% of bed bugs on the first treatment. How to use the spray? You can remove all bedding from your room and wash in hot water. While you’re doing that, spray your bed bug spray all over your bed. Flip your mattress over to do the other side too. Don’t forget to spray the entire box spring. Once that’s done, spray around the baseboards of your room. After the spray has dried, do a good vacuum of your room, and remake your bed with fresh laundry. You can also use your spray in-between laundry day, as it’s safe to use around adults, children, and pets. Fast-acting spray that kills on contact. Natural organic formula safe for children and pets. Kills bed bugs at every stage in life: eggs, nymphs, and adults. 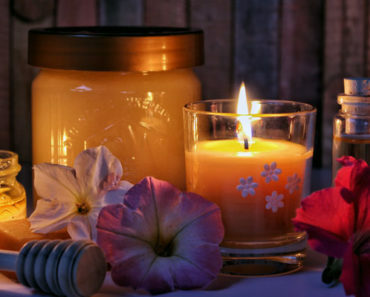 There are natural ingredients, including 3% sodium lauryl sulfate, 3% capsicum, 0.5% geranium oil, and 0.5 rosemary oil. It also contains vinegar, camphor, caffeic acid, ursolic acid, betulinic acid, camosic acide, and carnosol. Spray directly onto any areas where you have seen bed bugs. It will kill on contact. 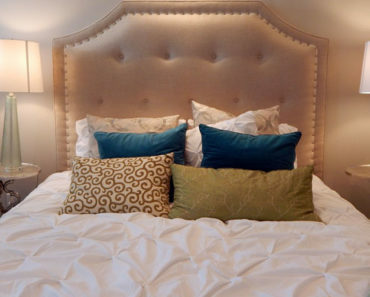 Be sure to inspect and spray your entire bed, bedding, pillows, and furniture in your bedroom. Cravegreens Bed Bug Spray works immediately on contact. It will kill the three stages of bed bugs: egg, nymph, and adult. This is considered one of the fastest treatments on the market today. Use the bottle to spray directly onto the regions of your bedroom where you have been getting bed bugs. You’ll also want to spray around baseboards, head and footboards of the bed, and under the bed. Eco-friendly and safe formula for the entire family. Designed with the safety of your family and your furry pets in mind. 100% natural and made in the USA. This Pest Peeve spray contains all natural products, including: geranium oil, cedarwood oil, sodium lauryl sulfate, distilled water, ethyl lactate, and alpha-Cyclodextrin. This is a highly effective natural formula that kills on contact. You can use it directly from the spray bottle. This spray will kill bugs on contact. You may wish to repeat a spraying at least once a week until you are sure that all the bugs and eggs are dead. It’s recommended to remove the clutter from your room and wash it first. Then do a good vacuum. This should get most of the stray bugs. You can then use your spray on your bed, headboard and baseboard, mattresses and box springs, and any upholstered furniture in the room. Kills more than bed bugs, also fleas, dust mites, and stink bugs. Works even on pyrethroid-resistant bed bugs. This spray contains the following chemicals: Phenoxyethanol, 2-dimethyl-3 cyclopropanecarboxylate, Imidacloprid, and other inactive ingredients. You can spray the Ortho Home Defense on your beds, furniture, and luggage to kill bugs on contact. The formula is long-lasting and will continue killing bugs even if you don’t spray every day. This is an effective spray to kill the pyrethroid-resistant types of bed bugs that have adapted to pesticides. The Ortho Home Defense spray will kill on contact. It’ll also keep working for up to two weeks after treatment. You’ll want to spray the bed bugs directly with the aerosol spray. You can also spray it all over your bed, including wood frame, baseboards, ceiling, and other types of furniture in your bedroom. This spray is for indoor-use only. You should avoid direct contact with humans or pets. It’s best to thoroughly clean your room first, before using the spray. After you have sprayed, ensure that the spray has completely dried. Many people like to let their room air dry for about three or four hours, as this spray does use more toxic chemicals than the all-natural sprays. Safe, organic, and non-toxic formula. 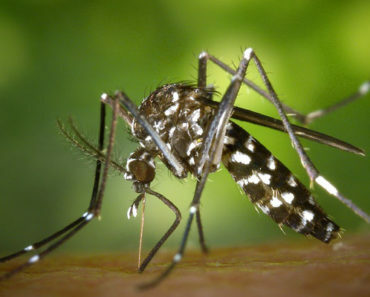 Eco-friendly ingredients make this bug spray exempt from EPA. Utilized by professional pest control experts, hotels, and nursing homes. Pleasant peppermint smell that kills chemically-resistant bed bugs too. 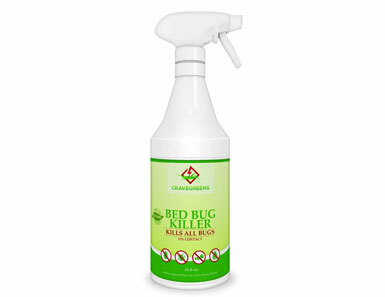 This bed bug spray contains the natural ingredients of sodium lauryl sulfate, sodium chloride, peppermint oil, potassium sorbate, sodium benzoate, and purified water. These are natural ingredients that are considered minimum risk to human health, so that makes it a pesticide product that is exempt under the FIFRA—Federal Insecticide, Fungicide, and Rodentcide Act. To use this spray you’ll want to spray it on regions where you have seen bed bugs. Also include the bedding and any furniture in your room. The Dead Bed Bugs Spray has a high concentration of organic active compounds that will kill bed bugs in seconds. It leaves behind a pleasant fresh smell. It will be safe for adults, children, and pets to sleep in the room after directly spraying it. The Dead Bed Bugs formula will take only seconds to kill bed bugs on contact. If you use it on a daily basis and follow cleaning guidelines, your bed bug infestation should be gone in a few weeks. You’ll notice most of the bugs gone in the first three days. After that, it will just be random stragglers. You’ll want to spray your bed at least once a day for the first week. The spray should last for about three weeks which should be enough to eradicate your bed bug infestation. It’s important to keep spraying if you see any stragglers, as even one bug can lay a lot of eggs in a day. Any bed bug spray is still considered a pesticide if it’s meant to kill insects such as bed bugs. It’s important for the safety of your family to observe safety measures. Follow the directions on the bug spray bottle. Be sure to thoroughly clean your room right before, or shortly after you do your first spraying. Vacuuming, washing bedding and pillows will go a long way towards killing any stray bed bugs. If you are using one of the more powerful bed bug sprays that isn’t naturally-sourced, you may have to close your room’s door for a few hours to let the spray dry. Once it’s dry it’s safe to place fresh sheets on the bed and sleep on it. Store your bed bug spray in a top shelf away from pets that may chew on the bottle, or small children who may try to play with the bottle. Store the spray in a dark cupboard away from heat, so that the efficacy of the formula stays good. Discard the bottle if the expiry date has passed. Wash your hands after spraying to prevent any allergic reactions. Do a thorough bug inspection of your room once a week. The first time you see a bed bug in your home you need to immediately order a bottle or two of bed bug spray. The sooner you can eradicate bed bugs from your home, the sooner your family will be able to get a good night’s sleep. Thermacell Mosquito Repellent Reviews – How Effective Is It? Mattress Covers for Bed Bugs – What Products Work Best?